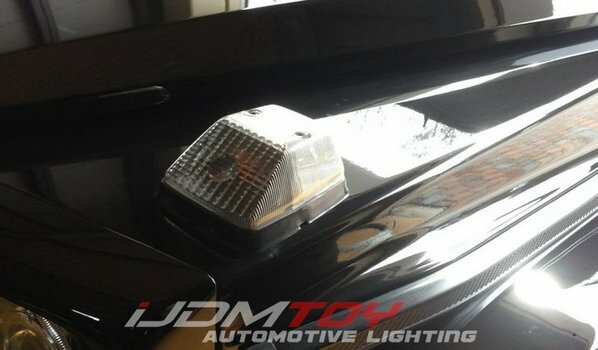 We here at iJDMTOY always strive to upgrade your car lighting with everything from LED tail lights to LED daytime running lights. And with our new LED turn signal lights with white position lighting, your Mercedes G-Class increases its visibility and style. 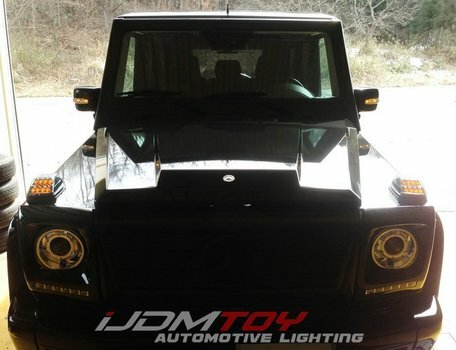 Check out the LED turn signal lamps w/ white LED position lights for the 1990-up Mercedes G-Class at our website. 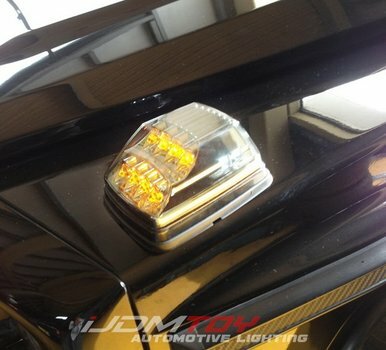 Here we will show you how to install the clear or smoked lens amber LED turn signal lights. 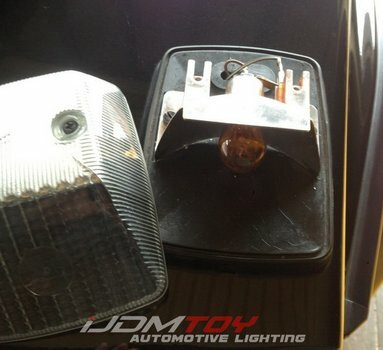 Remove your existing turn signal light. Unscrew the bolts on top of your stock turn signal lights to remove the clear lens from the base. 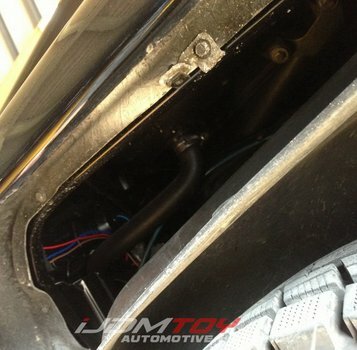 Remove the 2 inner bolts under the clear lens to release the base from the car frame. Disconnect the wires powering the turn signal lights. Route ALL wires down through the hole, including the LED turn signal lights. 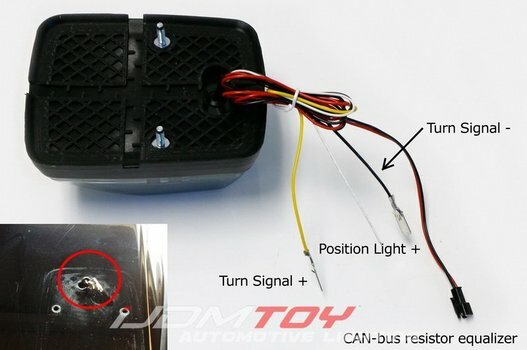 Connect the turn signal + and – wires to the original connectors. 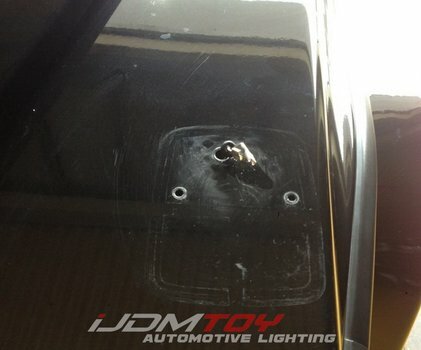 After you place the bolts of the LED turn signal lights through the holes, secure it with nuts on the other side. 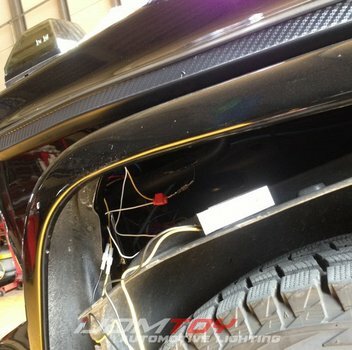 You can also extend the white position light + wire to your G-class’s front side marker + wire but this is not required. Connect the CAN-bus resistor equalizer wire to a CAN-bus resistor unit. This ensures you get no error messages and don’t get hyperflashing. Make sure you mount the resistor unit to a metal surface because the resistor will get hot. Repeat the last 4 steps to change the other turn signal light. Test them to make sure the lights function. Now that you've installed your new LED turn signal lights, your Mercedes G-Class shines brighter and brilliantly at night as you signal to turn left or right. Other drivers can also clearly see where you are from oblique angles if you enabled the white positioning lights as well. But no matter what time of day it is, people will admire the boldness of your LED turn signal lights.